Under the supervision of Konstantinos Kourouniotes, the Archaeological Society at Athens undertakes excavations in order to study the monumental retaining wall, and it is confirmed that the area is identified with the ancient Pnyx, the Assembly Place of the people. Petrakos 1987, 111, 117; Calligas 1996, 1–5. 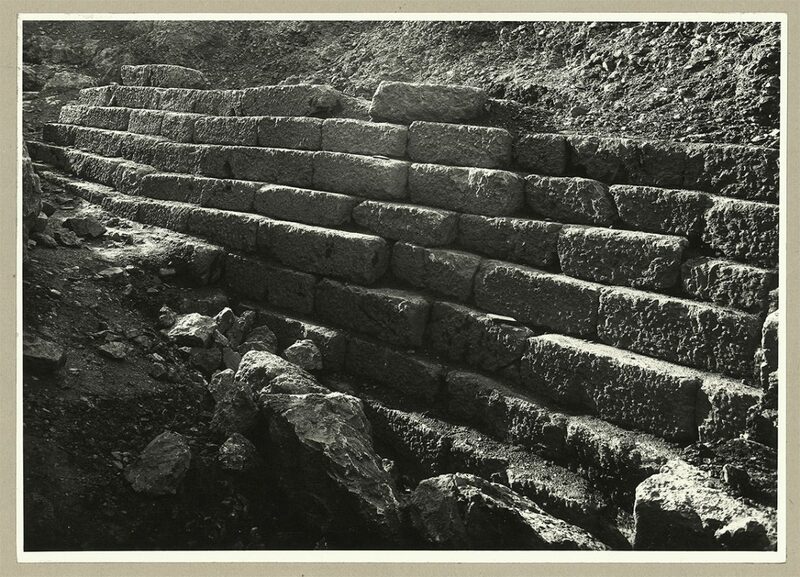 The 9-courses high preserved retaining wall, of an earlier date than the retaining wall of the 3rd building phase of the Pnyx (1910).